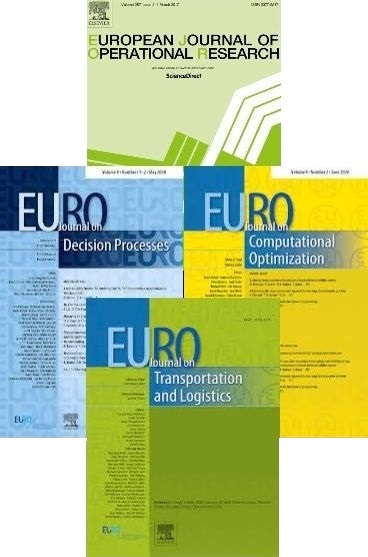 The EURO Advanced Tutorials on Operational Research are a series of short books devoted to an advanced topic – a topic that is not treated in depth in available textbooks. The series covers comprehensively all aspects of Operations Research. The scope of a Tutorial is to provide an understanding of an advanced topic to young researchers, such as PhD students or Post-docs, but also to senior researchers and practitioners. Tutorials may be used as textbooks in graduate courses. These tutorials are not collections of chapters written by different authors. The scientific scope of this textbook series is the general scope of Operations Research and the series will publish both application-oriented tutorials (e.g. portfolio optimization, cutting and packing, location, vehicle routing, scheduling, etc.) and method- or technique-oriented tutorials (e.g. branch-and-cut, Lagrangean relaxation, column generation, metaheuristics, heuristics, dynamic programming, etc.). The format of the tutorial will be that of a textbook. Therefore, although co-authored books are very much welcomed, the number of authors should be small enough to allow for a uniform style and vision along the book. We expect authors to be prominent scholars with extensive didactic experience. The tutorials will have usually between 80 and 150 pages. Besides the printed format, they will be included in the Springer e-book collection. Please contact the editors for more information or to submit ideas for topics.